Fly-tipping and litter fines have reached new levels in Stoke-on-Trent. New figures revealed that Stoke-on-Trent City Council have taken £31,900 in fixed penalty fines since April this year. The council have handed out 42 fixed-penalty notices since June this year for fly-tipping offences, with a further 175 outstanding cases waiting to be reviewed. The council have also confiscated five vehicles after the drivers were caught using them to fly-tip waste. Three more locals have recently appeared at the North Staffordshire Justice Centre accused of fly-tipping offences, all three of which had to pay costs and a surcharge fee. According to the council, money collected from fixed-penalty notices and court costs are put back into ways of educating residents on how to dispose of their waste correctly, on equipment and for new staff. 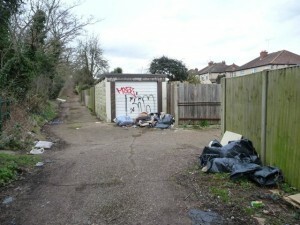 Clearing up the fly-tipped waste costs far more than what the council collects in penalties. Cabinet member for greener city, Councillor Terry Follows, spoke after the latest fly-tipping cases and said that a zero-tolerant approach is followed when it comes to any type of environmental crime in Stoke-on-Trent. Please click here for more information about our business waste management services.